Well, I’ve been asking!... & receiving Abundantly! I am experiencing instant manifestation Now. By focusing my energy and being receptive. I asked for support today while clearing childhood trauma, that I caused, from my unconscious choices. Absolute Neglect was dissolved today through conscious action. 30 years of this timeline resonating in the background of my energetic field, outside of awareness came up n was partially dissolved because of my focus & action to ASCEND THIS BODY. Staying in the Moment and it was let go. 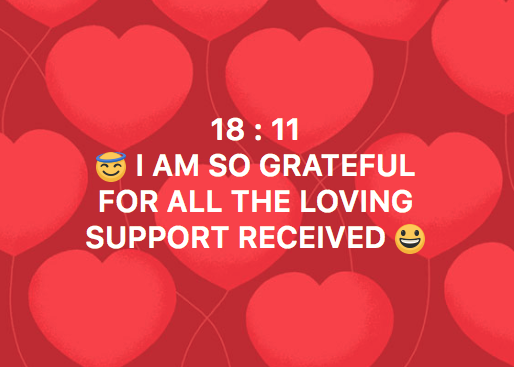 My moment of Truth had the full support of the Karmic Board, the Angelics, Masters, etc... Comforted, surrounded n flushed with Love throughout every cell instantly upon asking. With a focus on loving the body through the process of dissolving this trauma n being grateful in the moment for all of it, the experience became painless n over quickly. Continuing my day with many elated smiles pointed at everyone I can lay my eyes on while biking and feeling lighter with having the courage to release this deep seated experience, it was a wonderful few moments today.